Help Laura Jones discover Nikola Tesla's greatest invention. Is there a better alternative to Laura Jones and the Secret Legacy of Nikola Tesla? Is Laura Jones and the Secret Legacy of Nikola Tesla really the best app in Adventure category? Will Laura Jones and the Secret Legacy of Nikola Tesla work good on macOS 10.13.4? In Laura Jones and the Secret Legacy of Nikola Tesla, you help young adventurer Laura Jones and her grandmother discover Nikola Tesla's greatest invention! After receiving a mysterious package full of clues from the late Tesla, the hunt is on! Solve puzzles, collect the parts needed to start Tesla's invention, and pass the extraordinary trials. 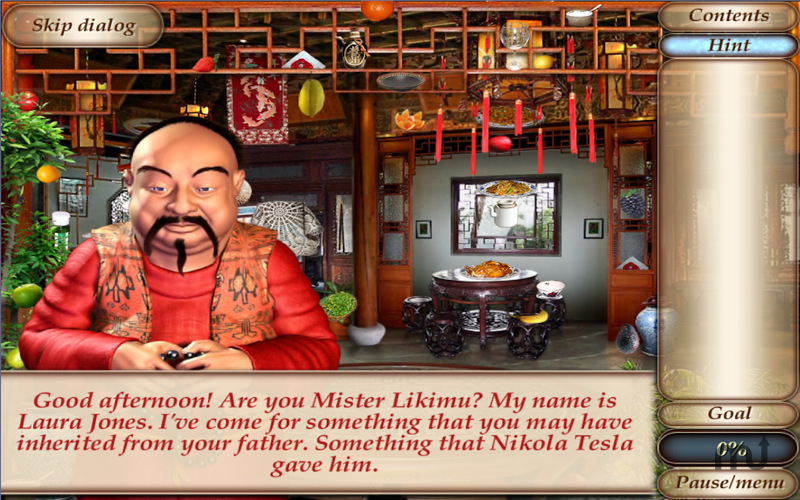 Laura Jones and the Legacy of Nikola Tesla will test your Hidden Object skills as you race against time and the other people chasing down the invention! Laura Jones and the Secret Legacy of Nikola Tesla needs a review. Be the first to review this app and get the discussion started! Laura Jones and the Secret Legacy of Nikola Tesla needs a rating. Be the first to rate this app and get the discussion started!